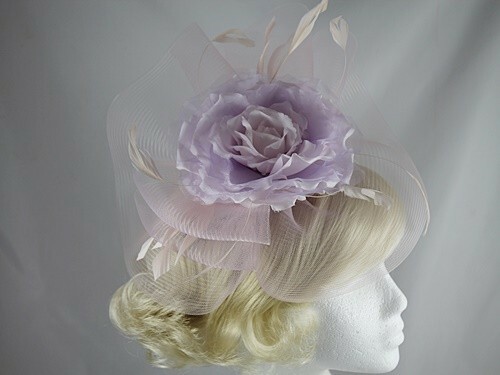 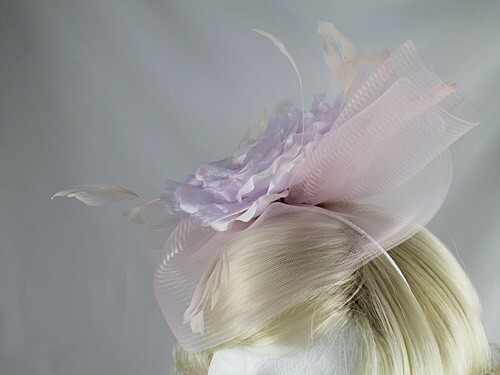 From the Failsworth Millinery Spring / Summer Collection, this impressive headpiece is designed around a central rose design with matching feathers and veiling. 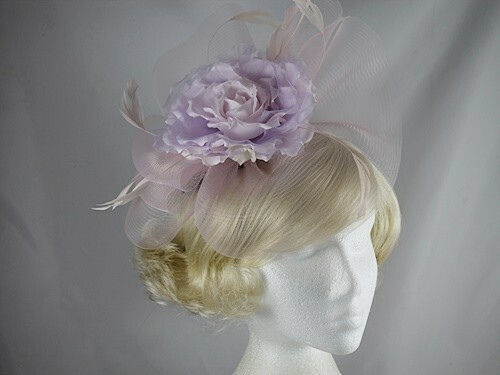 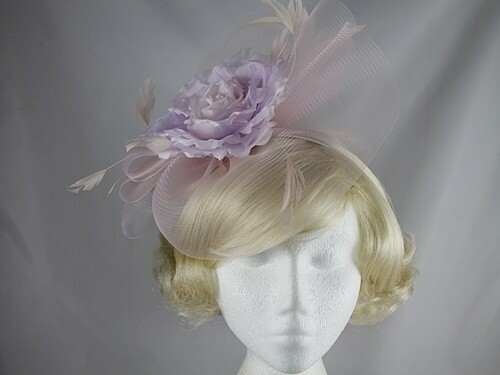 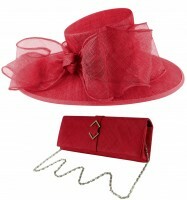 It measures approximately 30cm across and secures to the hair with a matching narrow covered aliceband. 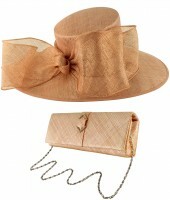 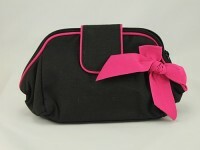 It is made from 80% nylon and 20% natural fibres.